Subtle changes to the way Audi’s new A4 Avant looks has brought about a good update to the range. The wagon’s more defined looks are sharper and tend to draw the eye a lot better than the outgoing model. Stand front on to the 2016 A4 Avant and the stylish chrome grille blends in nicely to the car’s angular headlight arrangement. The presence of more chrome on the exterior detailing is nice, while the car’s overall presence is one of dynamism and balance. In Australia Audi offers the new A4 Avant range with more choice of engine capacity and power. But even with the smallest engine, the car feels compelling enough and delightful to drive. Audi’s technology in Turbocharged fuel stratified injection (TFSI) is a winner. T is for turbocharging, and the FSI bit stands for gasoline direct injection, which is a technology whereby the fuel is injected directly into the combustion chambers, rather than into the intake manifold in the traditional manner. Because of the more favourable thermodynamics, this method improves the efficiency and performance of the engine. Three engines are petrol fed, while there is one diesel engine in the line-up. To kick it all off, the new Audi Avant A4 TFSI S tronic sport is a vehicle that delivers on performance, refinement and efficiency. It’s only a 1.4-litre but it punches well above its weight, and this small A4 Avant packs 110 kW of power between 5000 and 6000 rpm. Peak torque is an excellent 250 Nm from a low 1500 rpm – remaining available to 3500 rpm. Being equipped with a seven speed S tronic transmission this Avant can complete the 0- 100 km/h sprint in less than 9 seconds. Audi claims its top speed is 210 km/h. Figures like this make the competition green with envy, and it is remarkable that from such a little engine so much power can be generated. Out on the road and in the real world you should easily be able to return under 7 litres/100 km. – depending on how heavy/light your right foot is. Drive is put through to the front wheels and the car has an unladen weight of 1450 kg. Lots of options are available to snazz up your new Audi A4 Avant 1.4-litre, including some 18 and 19-inch rims, metallic or pearl effect paint, privacy glass, a sunroof, electric and heated front seats, to name a few. Standard features include a leather interior, sport front seats, 10-spoke 18-inch wheels, Audi drive select, park assist, blind spot warning, cruise control, eight airbags, a comprehensive safety list, WiFi hot spot with Audi Connect, 3-zone air-conditioning, light and rain sensors and a quality sound system. So, to be perfectly honest, the base model is a well-equipped car in standard form. There’s plenty of room to jazz it up with options, however. The Audi A4 Avant 2.0 TFSI S tronic sport is a petrol engine that has 140 kW of power and 320 Nm of torque. A top speed of 240 km/h and a 0- 100 sprint time of the mid-seven seconds is nice and swift. Like every other A4 Avant, the 2.0-litre has a start/stop system and is very economical. Keyless entry, electric front seats, an auto dimming rea-view mirror and digital radio are some of the standard features over what was mentioned in the 1.4-litre model. As always there is a sporty model in the Avant line-up, and for those of you who like to spend some time in the fast lane, the 2.0 TFSI Quattro s tronic sport has some awesome punch. It’s not as quick as the RS or S wagons, but the 4-cylinder petrol with direct fuel injection, turbocharging and the Audi valvelift system packs 185 kW between 5000 and 6000 rpm, while the torque is 370 Nm from 1600 rpm. Expect a top 0-100 km/h time of around six seconds and a top speed of 250 km/h. A nice set of 19-inch Audi Sport alloy wheels in 10-V-spoke design look the “bees knees”. The suspension is set 20 mm lower than the standard form and is beefed up, too. Electrically adjustable and heated wing mirrors, electric front seats with a memory function, and an Audi sound system with 10 speakers and a total output of 180 watts are some other features exclusive to the swiftest new A4 Avant model. An impressive 2.0 TDI Quattro s tronic sport is the diesel option in the mix. 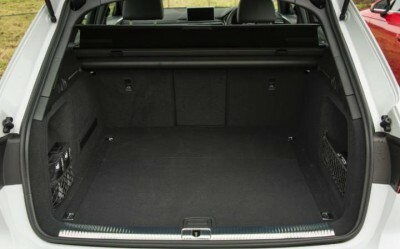 Similarly equipped to the 2.0 TFSI Quattro model, this estate can also happily travel the roads quickly when asked. A top speed of 235 km/h and a 0-100 km/h dash can be completed in a little over seven seconds. 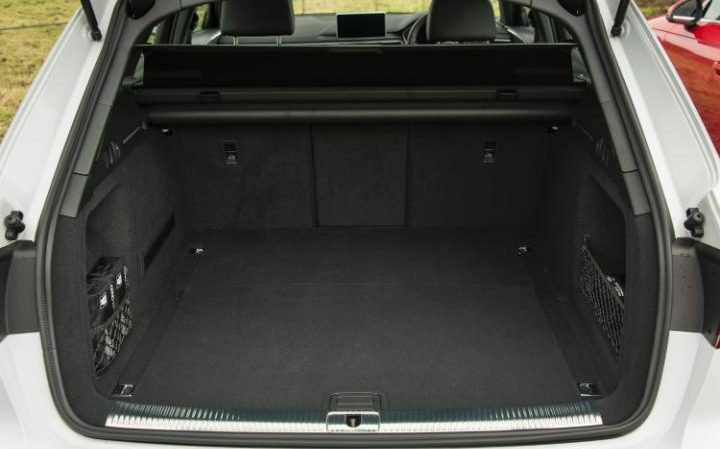 This is the most frugal of the 2016 Audi A4 Avant team. As far as ride and comfort goes, your new A4 Avant rides really well with plenty of refinement. There is a distinct quality feel about the cabin, materials and trim. Back seat leg room is good without being the best. You can carry plenty of luggage with you when needed. All-in-all Audi have created another very smart and enjoyable car that should provide plenty of solid reliable transport. Just keep up with the servicing and you should be sweet. 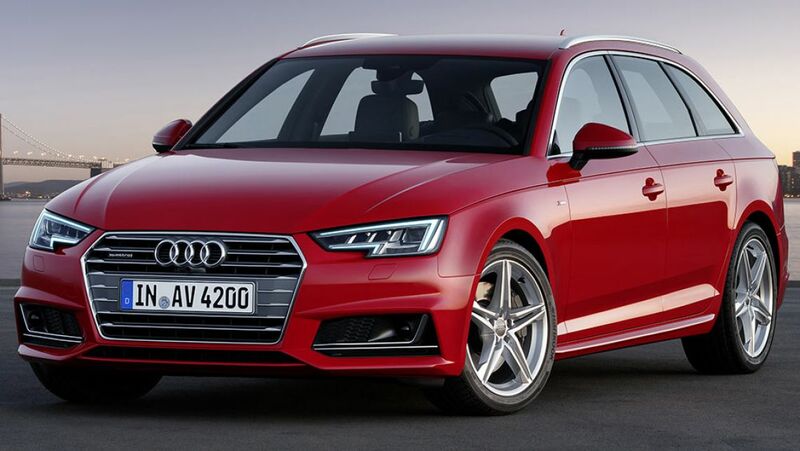 For any more information on the Audi A4 Avant or, for that matter, any other new car, contact one of our friendly consultants on 1300 303 181. If you’d like some fleet discount pricing (yes even for private buyers! ), we can submit vehicle quote requests out to our national network of Audi dealers and come back with pricing within 24 hours. Private Fleet – car buying made easy!